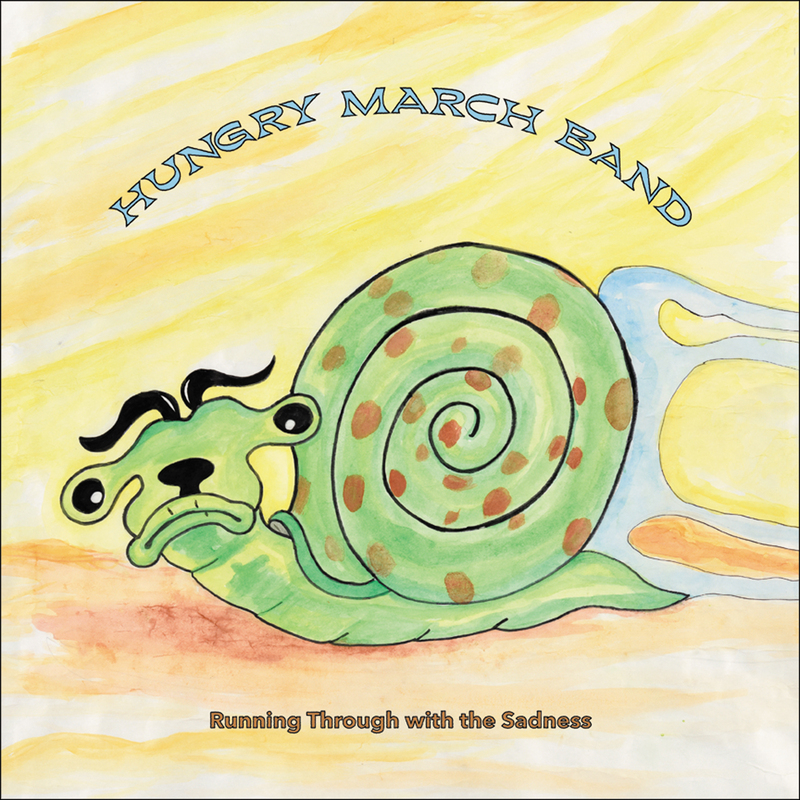 NYC’s legendary Hungry March Band is releases it’s first full length studio album in a decade. 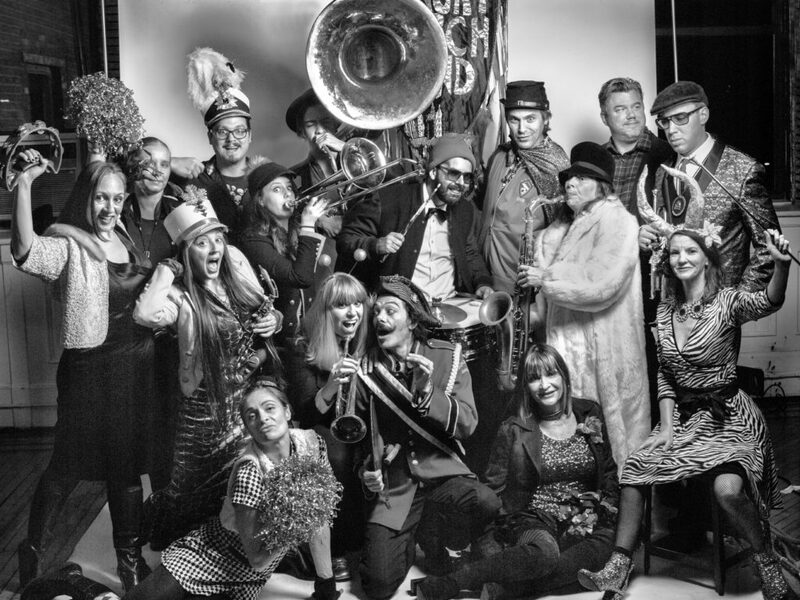 Established in 1997, Hungry March Band has roots in improvisation, noise, punk, and jazz (free and otherwise). 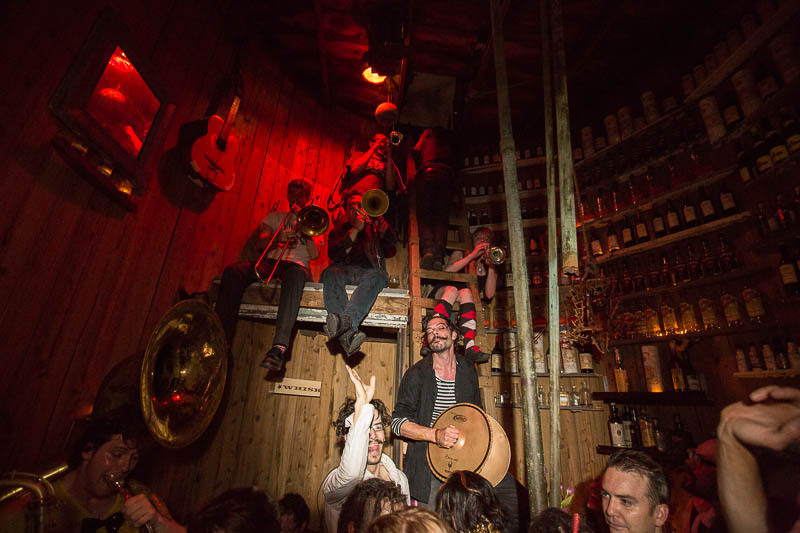 Through the early aughts, the band explored global brass traditions, rave dance parties, and sideshow performance art. As they mutated and attracted new talent, H.M.B. focused more and more on original composition. Composer/saxophonist, Okkon, described his show-stopping title track as, “ a dilemma for an absurdity of the Human-centered world through torrid days.” The song was written to the break-neck merengue setting on a Casio keyboard. With all these styles in the mix, H.M.B. 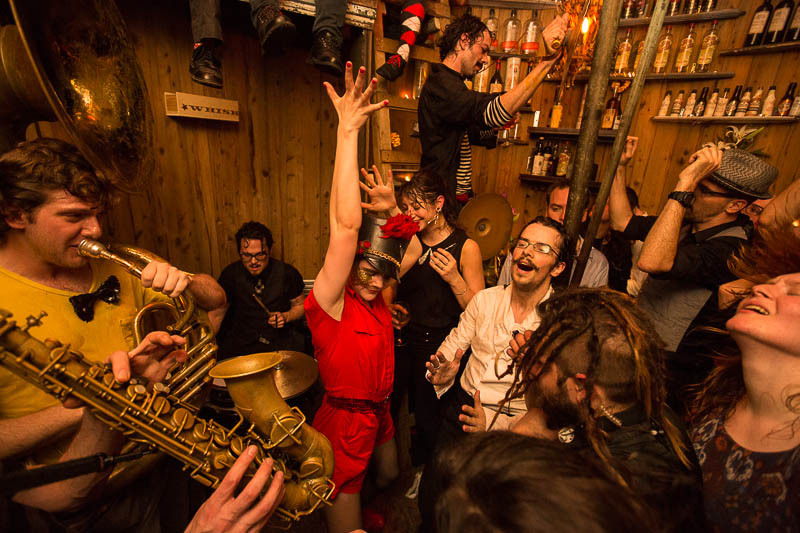 is a punk band at heart — manic and mad in their interpretation of sound and life in New York City. They switch gears from the charm of a children’s show to a twisted trip on acid at the drop of a hat. 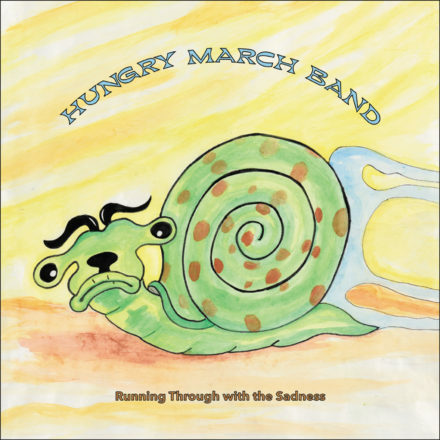 Running Through with the Sadness represents Hungry March Band’s first full-length studio album in over a decade, and their first pressed to vinyl. 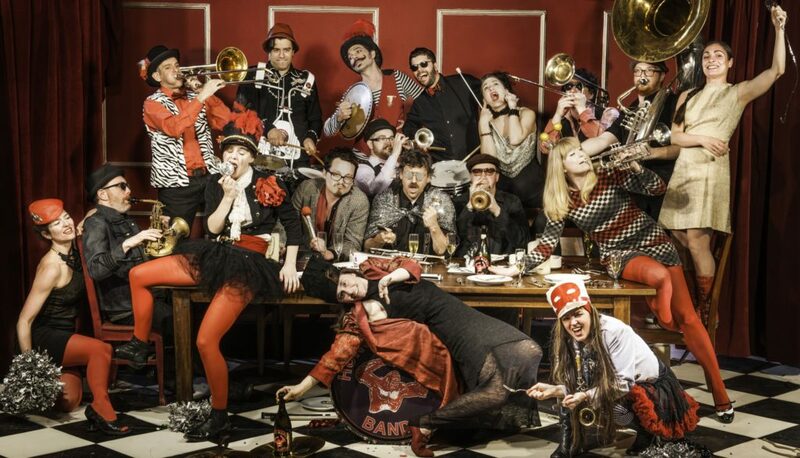 The record is an explosion of irreverent energy and a veritable lesson in spastic instrumental dance music. It was meticulously produced over the course of years, indicating a forward step in the evolution of the radical street brass sound. Kris Anton – snare etc.